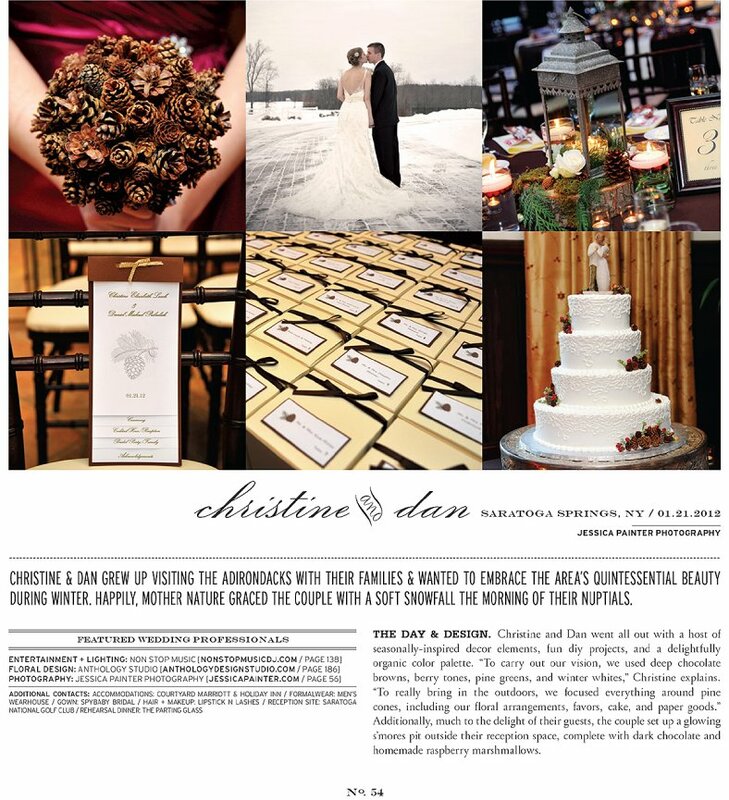 I was really excited to receive an email today from my friends at WellWed Magazine letting me know one of our 2012 Winter Weddings is being featured in their latest issue! Dan and Christine were one of our first weddings of the 2012 season and what a great way to start off the year! They are a great couple and a lot of fun! Check out their entire blog by clicking here. Keep an eye out for the magazine, it should be hitting stands soon!! You can also order it through their website. Thanks again Christine and Dan for letting us feature your wonderful wedding! !